For those who don't know it: what happens in "hanging punctuation" is that, e.g. a line of justified or right-aligned text that has a punctuation in the end, this punctuation mark would be moved a bit further to the right than the letters of other lines, so that the alignment is more visually even. Admittedly, that's a "pro" feature and not everybody would know how to use it, but as the saying goes: many trifles make perfection. Edit: I think I read too quickly. I see I haven't accounted for punctuation. Sorry. I agree with Sascha that this feature should be much more visible than it is. And maybe it's just me, but I wouldn't think to look in the Character palette for this as I would consider this a Paragraph property. Thanks everybody for the good replies. Indeed, I must have missed this option because it was at a rather unexpected place. Having said that, I have to admit that the options and control over the alignment far exceed my expectations. Great job! May I, however, still recommend to move this to the "Paragraph" options? 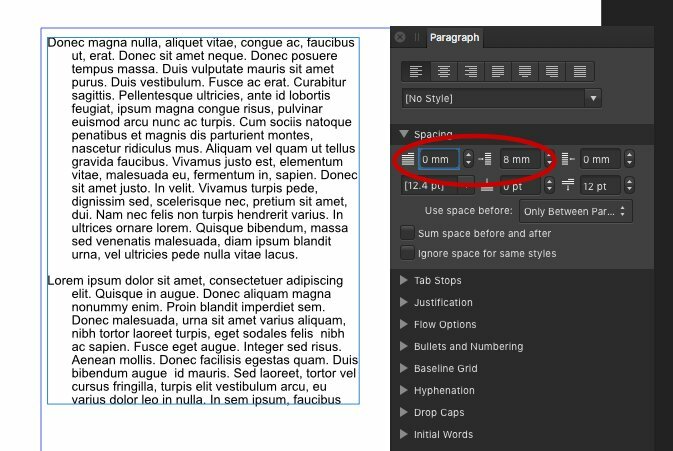 The way it works it is much more related to hyphenation and paragraph alignment than to how characters are displayed. 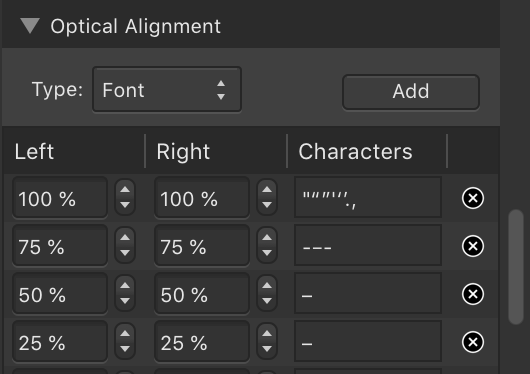 The values you use can depend on the font, so if you use a Character style that changes font you may want it to change the optical alignment settings too. That is why it is a character attribute.